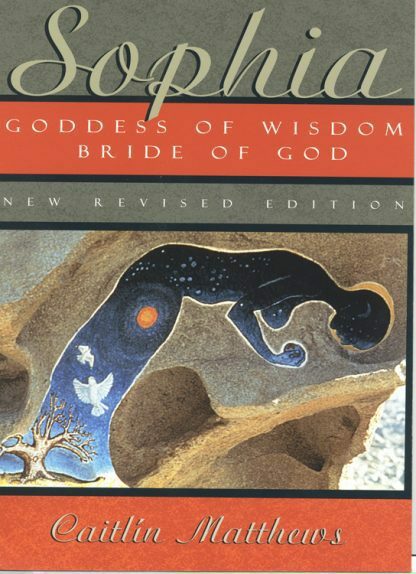 Anyone interested in the feminine face of God throughout the ages will find Sophia an illuminating experience. Caitlin Matthews' scholarship connects us to past, present, and future in the very depths of our femininity. ----Marion Woodman, Jungian analyst and author of Bone: Dying into Life. Sophia, or "wisdom" in Greek, has been revered in many forms throughout history--from the Dark Goddess of ancient Anatolia; to her Egyptian, Greek, Celtic, and Cabalistic manifestations; to her current forms as Mary and the orthodox St. Sophia. In the Gnostic Gospel of Thomas, Sophia sits with God until the creation. Then she falls into matter and becomes manifest in every atom, permeating all things "like the sparks that run through charcoal," as Matthews says. While God is "out there," the Goddess is "in here"-- the mother-wit of practical inspiration and compassion at the heart's core. This definitive work comprehensively establishes a realistic Goddess theology for Westerners in the twenty-first century: grounding spirituality in daily life and the natural world; learning to work playfully and play seriously; ending the gender war to enjoy sacred marriage.